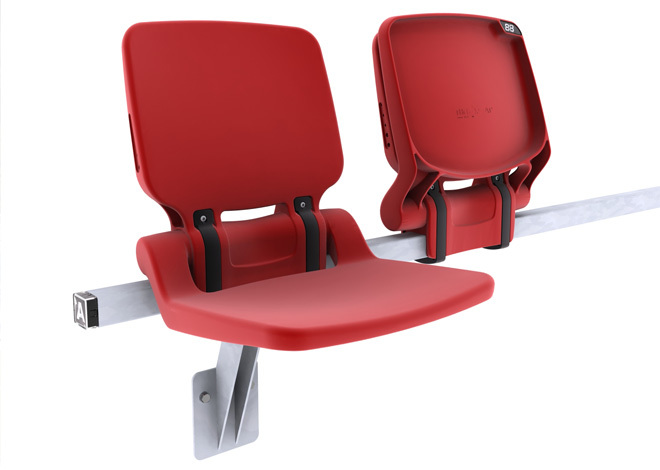 Its slim and compact design make it the perfect solution for high volume seating areas, the perfect economical choice of stadium seating. 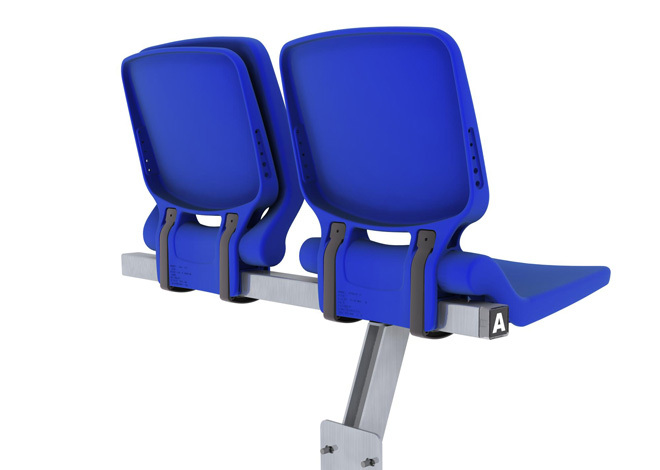 Simply refined with a single element construction, the all-polymer, soft action ‘tip-up’ seat is both lightweight and durable, with a built-in accessory compartment for added versatility and a deeper seat pan for added comfort. 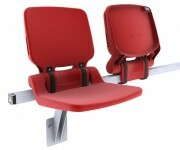 The ‘Set & Forget’ Strap Fixing System firmly secures the seat to the rail. 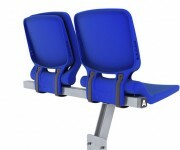 Unlike many other seat designs, periodic tightening maintenance isn’t required, so operational costs are further reduced. The major advantage of the patented strap technology is that the fixing won’t loosen, unlike clamping mechanisms which loosen over time from a condition called ‘creep’. Strap technology is particularly important, as it can be impossible to determine if a clamp has loosened and the spectator is at risk of falling. 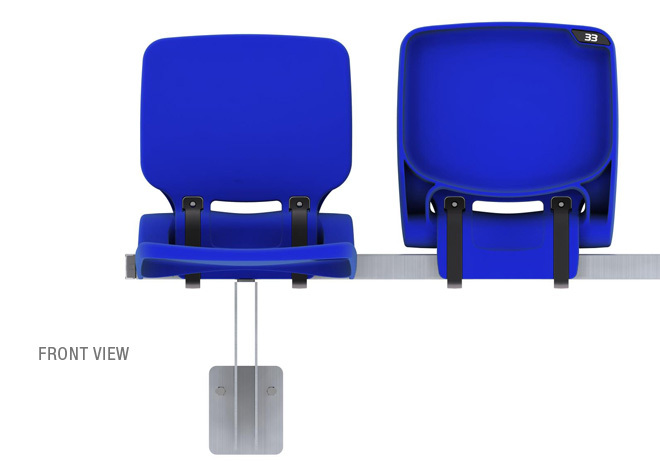 The location of seat and row numbers is designed to improve way-finding within the venue. The High Rail System ensures that row numbers are clearly visible above obstructions such as steps and seat numbers are as close to eye level as possible. 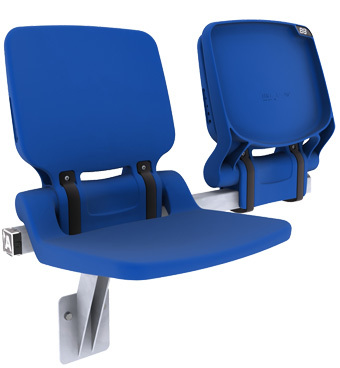 Seat numbers are not tilted downwards, as with some other seating products. Clear lenses protect number decals and allow for easy replacement or interchange with seat customisation for particular events. 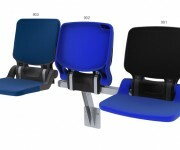 Make use of a select line of accessories for all Box Seat Models. 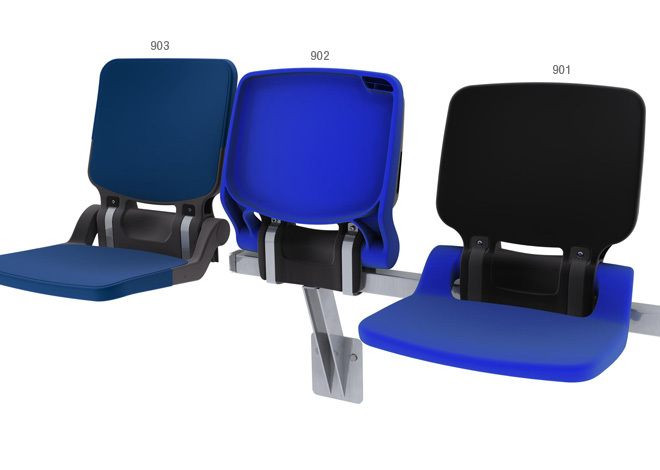 The Slim Armrest and cup holder add-ons are perfect for compact seating installations, where the distance available between seats is limited. 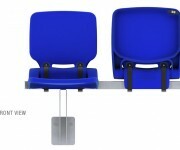 It is engineered from a durable polymer and can withstand the wear and tear associated with high-volume spectator events.